Any Need to Partition Drive in 466 MHz Clamshell iBook? In regards to the article, "Bringing G3 iMacs and Other G3 Macs into the Tiger Age", I'd like to ask if you could clarify something. Are you saying that Bill said that he has seen tray-loading iMac CPU cards which will take 512 meg SO-DIMMs? He's also the only person I've ever heard from who has managed to get 512 MB RAM cards working in slot-loading iMacs. This would be new and special if you meant to write tray-loading iMacs. I have two colocated servers, one in Rotterdam and one in New York (I'm in Los Angeles) which are first generation tray-loading iMac motherboards built into rackmount 1U cases. If there's a chance I could get these machines to 1 gigabyte, I'd love to know! Good eye - Bill has had two tray-loading iMacs that work with 512 MB DIMMs. Only two out of dozens and dozens, so it's very rare. I've forwarded your email to Bill in hopes he can shed more light on this. Editor's note: Bill has clarified that he's having 100% success using 256 MB "CL2" memory modules in all tray-loading iMacs and that the one 512 MB module that worked was also CL2. 256 MB and 512 MB CL3 memory is not recognized. Well, with Christmas out of the way, I finally got a chance to try out the advice forwarded to me from your friends, and I'm still having some trouble. Once the OS CD is loaded or I'm in the Open Firmware, the keyboard stops working (still - like the system looses the keyboard driver). I tried the keyboard on my Windows XP system, and it has no problem with it, so I'm thinking the keyboard is fine. Probably. I pulled the chips out, I held the button in for a good 15 to 20 seconds, but nothing seems to work. The hard drive is good - formatted with the OS 9 CD installer. Can't boot from pre-OS 9 CDs still and can't install OS 9 because it says the ROM needs to be updated but can't write to the System Folder (no surprise - it's the one on the CD), and the iMac hangs when the USB drive with what is supposed to be a bootable install of OS 8.6 is connected. Went on freecycle for St. Catharines, but nobody seems to have any iMacs they're willing to part with. Got any other helpful ideas? The link you passed along gives me a 404, and I tried searching the site, but I guess they've renovated. Sorry you're still having problems with this beast. I've been working with my Blue & White G3 while Low End Mac was on Christmas break, and one thing I discovered is that some newer Apple USB keyboards aren't fully supported on older Macs. In particular, I'm using a black Mac Pro Keyboard, and Mac OS 9.x always complains that the USB bus in the keyboard is unsupported. It's possible that for some reason your keyboard is incompatible. Your Rev. B iMac should boot into Mac OS 8.5 or later and requires Mac OS 8.5 or 8.5.1 before you can install iMac Update 1.1. Mac OS ROM Update 1.0 requires Mac OS 8.6. To clear up your problems, it may be necessary to find an iMac or universal Mac OS 8.5 installer and run through the upgrades one by one (all are linked on the Rev. B. iMac profile on Low End Mac). Sorry about the bad link. I tested it before I emailed you, and it worked in December - but it's gone now. Thanks to the Internet Archive, it's not gone forever. I've actually figured out that the problem with the keyboard is the connector itself - if I play with it, it works, then as long as the keyboard isn't moved, it continues to work. Since I know for sure it needs OS 8.5, minimum, I'm attempting to procure either a universal 8.5 or an iMac System Restore from eBay, so hopefully this thing should be working soon! It sounds more and more like you've adopted an abused iMac. Keep us posted! At http://www.lowendmac.com/2000/ibook-se-firewire-466-mhz/ are instructions to partition the drives of Paris iBooks. Are you sure this is necessary? My Graphite 466 (Firmware 4.1.7) has a 120 GB hard drive and a single partition. I have seen no problem running 10.4.11 and 9.2.2 with 576 MB RAM. The 466 came originally with 10 GB (20 GB optional) hard drive, and these were not to my knowledge partitioned. No, I'm not sure it's necessary, and I know Apple made quite a few changes between the first generation and second generation iBooks: a different version of the G3, adding FireWire, better video, etc. However, Apple's own article, Mac OS X: Disk Appears Dimmed (or "Grayed Out") in the Installer, includes the FireWire iBooks in its list of Macs that have the 8 GB issue with Mac OS X.
I believe "iBook (FireWire)" refers only to the 366 models. The 466 were iBook SE (FireWire), weren't they? Apple calls both models "iBook (FireWire)" - see <http://support.apple.com/specs/ibook/iBook_FireWire.html>. Both models share the same logic board. The only differences are CPU speed, CD-ROM vs. DVD-ROM, and color. I can't explain why you're not having any problems with an unpartitioned 120 GB hard drive. As long as the entire OS resides within the first 8 GB of space, everything should work, but if some software update moves files beyond that space, your iBook could become unusable. Once again, thanks for your prompt reply. At <http://docs.info.apple.com/article.html?artnum=88039> in the first table, below the illustrations, iBook (FireWire) is listed, as is iBook Special Edition (FireWire). This is true at <http://support.apple.com/specs/ibook/iBook_FireWire.html> too, under "Configurations". In each generation of clamshell iBooks, Apple had a regular iBook and a Special Edition, which was available in graphite. 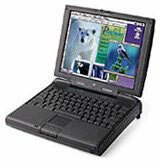 The first generation included 300 MHz and 366 MHz models, the Special Edition had twice as much RAM, twice as large a hard drive, and 22% more processing power. They shared the same logic board. In the second edition, the FireWire generation, the iBooks came in 366 MHz and 466 MHz speeds. The two models shared a logic board, 64 MB of RAM, and a 10 GB hard drive. The big difference was that the Special Edition FireWire model had a DVD-ROM drive and ran 27% faster. There were two "regular" iBooks, two Special Edition models, and two FireWire models - one "regular" and one Special Edition. My name is Scott. I have an original Mac G3 PowerBook Kanga, and it's in mint condition. I am wondering if it's worth any money, because brand new it was worth 5,000 dollars. So if you know any value of it or anyone that collects them or wants to buy it from me, please e-mail me back and let me know anything you might know. Thanks. The bad news is, computers depreciate fast, and a $5,000 10-year-old Kanga isn't worth much these days. I found one that sold on eBay in December for $95 including shipping. When he has them, the PowerBook Guy sells them for $179.95, but that's not very often. There have been several posting on the LEM Swap List from people looking for Kangas, as they are rare, but you probably won't get more than $100-125 unless it's been upgraded from the original 32 MB of RAM. Seasons greetings and beatings, Dan! This site may prove useful to some LEM users until their stock runs out (I think they may have 12 units left as of this email). It's a fresh new old stock part in a baggy with the Apple cardboard sealing. I hope this will help some the other IIfx owners that frequent LEM. Actually, have any leads on four or eight 16 MB 64-pin SIMMs crossed your path recently? Have a great new year, bud. Thanks for writing. I have a couple of IIfxen in the storage room, and I have a set of 16 MB SIMMs that I plan to install next time I set on up. Best places to look for 64-pin SIMMs for the IIfx are probably our Vintage Macs group, the LEM Swap List, and the pickle, the author and maintainer of the pickle's Low-End Mac FAQ. I bought a white iMac that has a 24" monitor & Tiger 10.4.9, which I love . . . except that the text and images are way too tiny, causing eye strain, eye pain & headaches that I never had before. As a print designer, I need Quark 7.2 to be as close to WYSIWYG as possible. (Other apps too, but especially Quark.) I need 1" on the screen to equal the 1" on commercially printed products. Is this possible on this iMac? Or do I need to buy a different type of monitor? iMac's Zoom feature, Universal Access, and other apps that adjust display resolution do make the text larger, unfortunately they also make the text verrry blurry & sometimes distorted. The 24" iMac display has a resolution of 1920 x 1280 pixels and a pixel density of approximately 100 pixels per inch. Historically, Macs have worked on the assumption of 72 pixels per inch (while Windows assumes 96 ppi), and one of the powerful features of Mac OS X is resolution independence, although very few Tiger apps take advantage of it. I don't know whether Quark supports it, but it's the kind of feature Quark should be supporting. I'm sure you could learn more from other Quark users. That said, there is another option. Back when I did book design, we typically ran Quark XPress and FrameMaker at 120-125% so we could read the 10 point serif typefaces being displayed, as it was very hard on the eyes at 100%. You might try experimenting with that feature in Quark: create a 4" square and start at 135%, measure the box on your screen, and adjust up or down accordingly until the box measures 4". Thanks for your reply. That's a lot of good information. I guess the resolution independence problem will be fixed one day. (What were they all thinking? Duh??) Perhaps instead of pro customers, they want to attract the weekend bloggers and gadget customers (who don't seem to care about that). During production, it's a pain & slows production. Each app has different %s which are not retained when closed & reopened. And for Quark, the percentages are odd numbers (137%, etc.). , so you can't just click on their presets to magnify. You have to go to the bottom of the page, select the percentage, then highlight it, then enter another percentage - for each and every page, every single time. Maybe I'll call Quark to see if they could send me a "percentage holder" fix. WYSIWYG was never meant to imply exact size of final output, only a faithful representation of how the page would appear. Early Macs were 69 dpi on the screen, ImageWriter printers were 72 dpi, and the first LaserWriters were 300 dpi. The computer's display gives a faithful representation, even if it is a big larger or smaller than printed output.